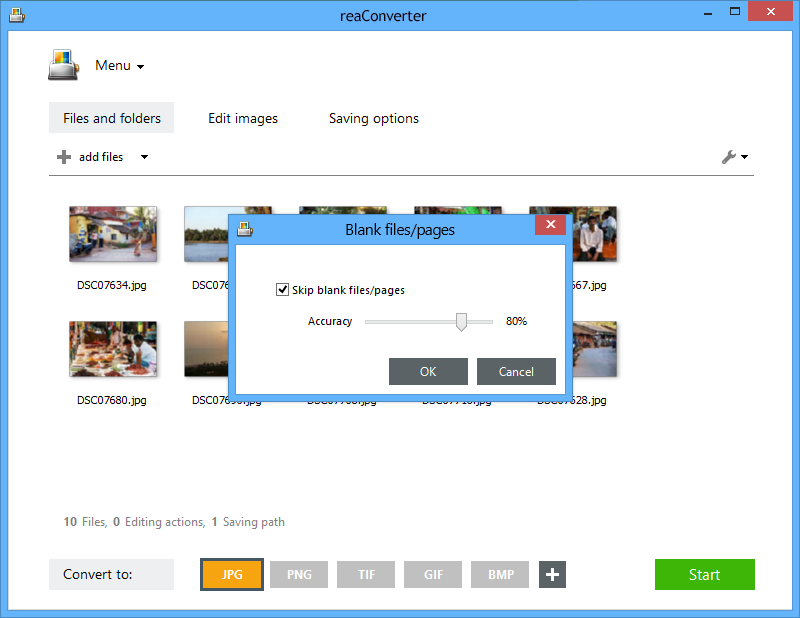 Among a series of features that make the conversion process more convenient and easier to operate, reaConverter includes one that allows you to skip blank files or pages. This is particularly effective when converting large groups of photos (which might include blank ones) or when working with multi-page image formats, such as TIFF. In each of these two cases, the blank files or pages are omitted and help you save the time required by manually picking them out. 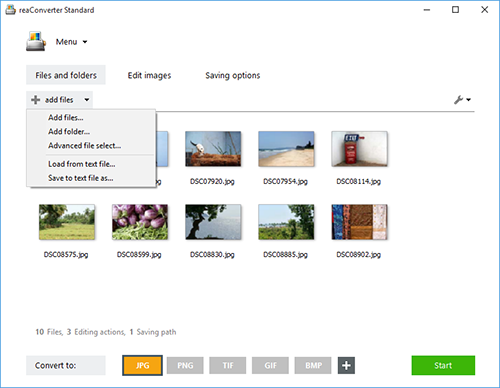 Load one or more image files you intend to convert, by using the drag-and-drop tool or by browsing through your hard drive and selecting them one by one. Then tick the Skip blank files/pages box and manually adjust the degree of accuracy you wish for this process. In case you don't want to apply any image editing, go directly to Saving options and choose the location of the converted images. 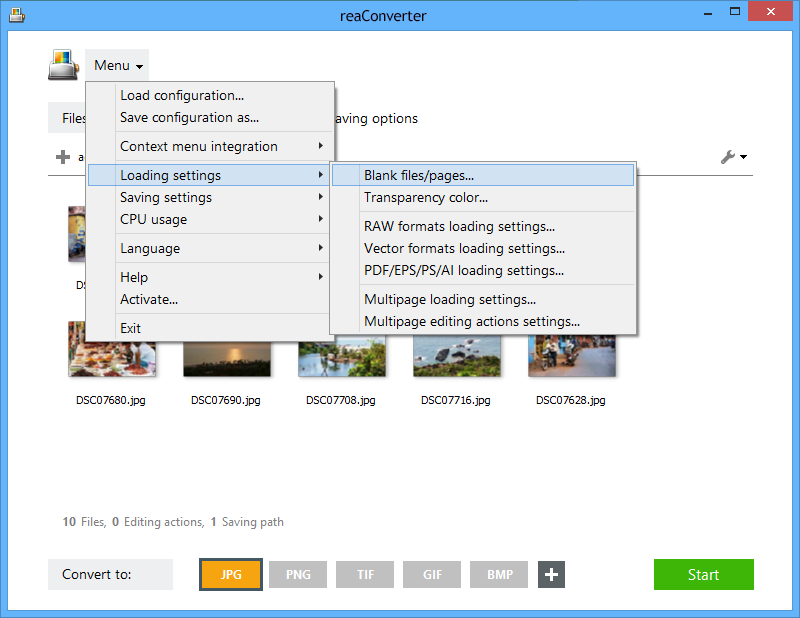 You can save them in the source folder, in a new subfolder or in another location of your choice. 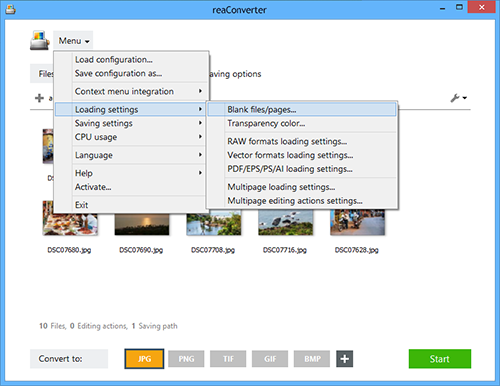 Finally, pick the desired extension for the output files by simply clicking one of the buttons placed in the lower part of the window. Then just press Start!